عکسی از یک پرتره در سال ۱۷۲۶. اصل پرتره در جنگ جهانی دوم از دست رفته‌است. بارتولومئو کریستافوری دی فرانچسکو (تلفظ ایتالیایی: [bartoloˈmɛ:o kriˈstɔ:fori di franˈtʃesko]; ۴ مه ۱۶۵۵– ۲۷ ژانویه ۱۷۳۱) یک سازنده آلات موسیقی ایتالیایی بود. او عمده شهرت خود را برای اختراع پیانو کسب کرد. پیانو ساخته ۱۷۲۲ در رم. تعداد کل پیانو ساخته شده توسط کریستافوری ناشناخته است. تنها سه سه عدد پیانو ساخته شده در دهه ۱۷۲۰ به جا مانده. A. Furnari and C. Vitali (1991) "Handels Italienreise neue Dokumente, Hypothesen und Interpretationen," Gottingen Handel-Beitrage, Kassel. Gai, Vinicio (1969) "Gli strumenti musical della orte Medicea e il Museo del Conservatorio 'Luigi Cherubini' di Firenze" ("The musical instruments of the Medici court and the museum of the Luigi Cherubini conservatory in Florence"), Florence. pp. 6–22. Good, Edward (2005) "What did Cristofori call his invention?," Early Music 33.1: 95–97. 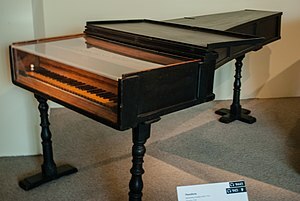 Hubbard, Frank (1967) Three Centuries of Harpsichord Making. Cambridge, MA: Harvard University Press; شابک ‎۰-۶۷۴-۸۸۸۴۵-۶. Kottick, Edward (2003) A history of the harpsichord. Bloomington: Indiana University Press. شابک ‎۰-۲۵۳-۳۴۱۶۶-۳, شابک ‎۹۷۸-۰-۲۵۳-۳۴۱۶۶-۲. 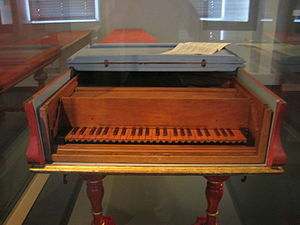 Kottick, Edward and George Lucktenberg (1997) Early Keyboard Instruments in European Museums. Bloomington: Indiana University Press. Montenari, Giuliana (1991) "Bartolomeo Cristofori: A list and historical survey of instruments," Early Music, August 1991. O'Brian, Michael. "Bartolomeo Cristofori", article in the New Grove Dictionary of Music and Musicians, available as a pay Web site and in scholarly libraries. Pollens, Stewart (1991) "Three Keyboard Instruments Signed by Cristofori's Assistant, Giovanni Ferrini," The Galpin Society Journal 44: 77–93. Pollens, Stewart (1995) The Early Pianoforte. Cambridge: Cambridge University Press. Parakilas, James Piano Roles: Three Hundred Years of Life with the Piano (1999: Yale University Press, شابک ‎۰-۳۰۰-۰۸۰۵۵-۷). Restle, Conny (1991) Bartolomeo Cristofori und die Anfänge des Hammerclaviers. Munich: Editio Maris. "Pianoforte", article in the New Grove Dictionary of Music and Musicians, available as a pay Web site and in scholarly libraries. 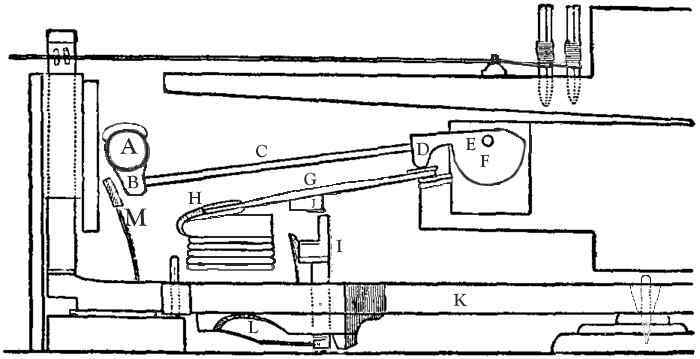 van der Meer, John Henry (2005) "Review of Bartolomeo Cristofori: La Spinetta Ovale del 1690: Studi e richerche, edited by Gabriele Rossi Rognoni. The Galpin Society Journal 58:275–276. Vogel, Benjamin (2003) "Action", in Robert Palmieri, ed. , The Piano: An Encyclopedia. Routledge. این صفحه آخرین‌بار در ‏۱۸ مارس ۲۰۱۸ ساعت ‏۱۳:۵۸ ویرایش شده‌است.